Tegan Brideson of Tegan Asha Bridal is renowned for her unique, elegant ready-to-wear bridal gowns so we were chuffed to be asked to produce Tegan’s very own wedding dress. 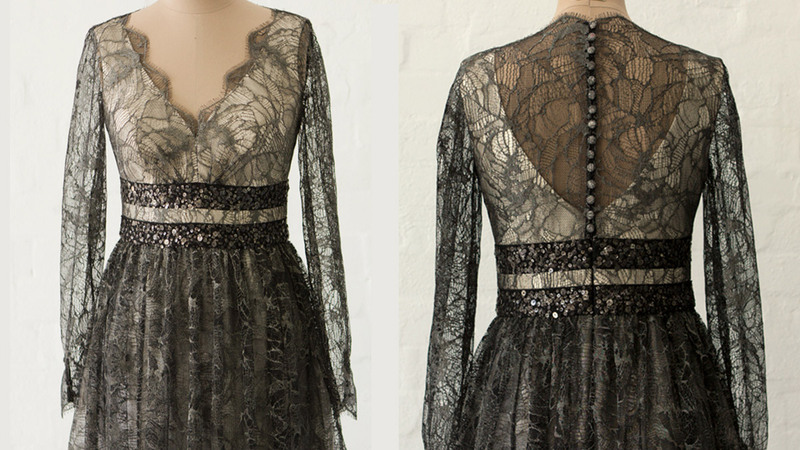 As expected Tegans design is based around a classic silhouette with exquisite silks layered with delicate French lace. A two metre flowing veil adding just the right amount of drama. From all of us at Caryn Luxton Design, we wish you many years of happiness together. With a reputation for designing clothes women love to wear it will be no surprise to us if the new range from Secret South flies of the racks. Expect classic silhouettes splashed with eye catching prints and comfortable fabrics. We think that this seasons cut is just a smidge’ over perfect and completely wearable for work or play. This is the eighth collection that we have produced for Secret South… boy! does time fly. Discover Secret South here. Surface designers add another string to their bow. A classic pattern silhouette is the perfect canvas to showcase the amazing talents of Surface Designers Luisa Franco & John Valastro and their new business Madge. The two designers established Madge in 2013 to create designs for a range of surfaces including yardage and small collections of homewares and fashion. Casey Tanswell’s inspiration for her spring summer 2014 range draws mystically from La Belle Époque… and perhaps places beyond. The artistic aesthetic of Casey’s designs took us all on a journey back to unhurried times when dressing was more ritual than routine. Casey warps old worlds with the new choosing exquisite French laces, flowing silks and buttery soft lamb skin finished off with laser cutting and digital printing. Casey is based in Queensland but chose to set up camp in Sydney so that she could be involved throughout the pattern development process and worked alongside the pattern making team. Caryn Luxton Design is managing production for the range. Discover more about this wonderful “new guard” designer and shop the Casey Tanswell Collection.